This is interesting. I don't agree with a number of items noted, but nonetheless worth consideration IMO. This is of more than academic interest as the exact sorts of battles outlined below are being fought today via AirBnB, Uber, and their like. Special report How can we begin to unpick the tangled mess that the technology and creative industries have created? There's certainly no shortage of blame to go around. In the past every new wave of technology has delivered healthy creative markets - but today this is no longer happening. Just 20 years since the birth of the internet economy, with the advent of the worldwide web, it's worth asking why. It's time we looked afresh at where both industries went wrong, and how they can get on the right track again. Much of what follows will highlight key mistakes made - but before we do that, we need to put them in some historical context. What worked in the past is a fairly reliable indication of what can work again in the future. The current impasse between technology and copyright sectors is certainly an odd one. Historically, war is the greatest driver of technological innovation of all, but in peacetime it's the demand for culture and entertainment that spurs the most innovation. People want to see and hear stuff, and are prepared to pay for it. The cash generated is ploughed into more entertainment - we've certainly moved on from the early movie dramas, which were starchy filmed theatrical plays. This creates more investment in technology so people can enjoy the entertainment in a better way. Round and round it goes. As a result technology innovators got talented people producing stuff for their kit: recording their music on long-players rather than shellac, or printing their movies in technicolor. So the two sides need each other. Technologists' incentives were simple: create more amazing gear to deliver the best of other people's stuff. And each wave of innovation grew the market, and ensured the creators and workers were richer. No innovation has ever made creative industries poorer, remember. Unfortunately, the truth of this historical mutual dependency gets forgotten today because the incentives aren't lined up. Investment decisions in technology services are made without a thought for the health of the creative people who generate the demand for the goods. Creative investment decisions either don't take advantage of the technology, or are hamstrung in a way that leaves the potential of the technology untapped. Things are also complicated by another factor we'll call the Unicorn. I'll open the catalogue of errors at chapter one, the music industry. The music industry's yellow brick road of mistakes are encapsulated in one story – a story the former Napster attorney Chris Castle told us. In 1997, Castle was representing a startup that needed a music licence from a major label. The label exec returned his call with this: "You know what? We're going to take our time getting into this space. We've decided we're going to be last to market." Last to market? You read that correctly. The attitude convinced Castle it was time to move to Silicon Valley. At the original Napster, and subsequently at Shawn Fanning's next venture Snocap, Castle tried to make peer-to-peer sharing of paid-for content legal – a tale that is little-known and one that David Lowery reminded us of in his recent El Reg interview. Pay attention, dear reader, this will become quite important. Being slow to bring attractive legal goods to the marketplace was probably the biggest single mistake the music industry ever made. Napster took off in 1999, but that was four years before Steve Jobs bludgeoned the labels and dragged them to the table with iTunes. That delay wasn't catastrophic – few users in 1999 had broadband – but the mistakes continued. Songs that people bought at Apple's store didn't work on any other manufacturer's device – or at least not reliably and not for long. The major labels were obsessed with controlling the movement of their legitimate product, even though the internet was deluged with illegitimate tracks and even toxic copies planted by the labels' own anti-piracy teams. Much like the compulsory FBI warning at the start of DVDs, which torrent downloaders never see, this punished the legitimate purchaser and gave the freetard the better user experience. The book publishing industry has fared better so far because it didn't wait so long to get involved. As this article by Listen.com founder Rob Reid at the WSJ notes, both music and book industries saw a 20 per cent fall in sales, but books have made up the dip with ebooks. "Selling things to early adopters is wise," concludes Reid. It's not the full picture, of course, as Nick Carr counters here: books aren't music and the fungibility of music means the industry was always "basically screwed". But engagement with the technology, rather than hanging around on the sidelines, is undoubtedly a factor. A new essay was published this week called Copyright and Innovation: The Untold Story by Michael Carrier, a professor at Rutgers School of Law in Camden, New Jersey. It quoted music technology companies and music business executives, and catalogued many industry errors. Professor Carrier noted, for example, that Napster "unbundled" the album package long before iTunes did. (4) resulted in numerous missed opportunities. Professor Carrier is correct in suggesting that taking down a centralised peer-to-peer service made counting product usage, and therefore monetisation, more difficult. But it didn't make counting impossible. And he appears to be entirely ignorant of what happened next. The labels were prepared to experiment with legitimising and licensing file-download apps LimeWire and Kazaa, and the new wave of decentralised services that followed Napster. In Wayne Russo, they found a pirate operator prepared to take the offer and run with it. But ultimately nobody followed the well-worn route from outlaw to statesman, from pirate radio operator to major player. Fanning's Snocap kept trying to turn the black market into a white one and eventually gave up. In 2008 the Snocap assets were flogged off to Imeem; the following year MySpace picked up the Imeem assets for peanuts. There is no mention in Carrier's study of the Snocap saga – which is intriguing in itself. Did he not know? Or did he know and feared that the episode would disrupt the story that he had decided to write, one that so many people, evidently, want to read? What the professor presents instead over 60 pages is the copyright skirmishes reduced to a simple moral fable: the good guys wear white, and the bad guys wear black. Quite why the prof wanted to carve out such a simplistic tale, in spite of the evidence, is a mystery we will get to in a moment. The Unicorn has yet to make its appearance. Let's recap. We see that both sides are nervous and unwilling to engage in the market. The pirate operators valued their outlaw pinup status to which the lustre of victimhood was soon added. They were unwilling to exchange the internet infamy they'd gained on the margins for wealth. Unable to turn a black market white, the music industry had little option but to prosecute the pirates. On the music side, the industry has changed from nervously seeking to control the movement of its legitimate product (via digital rights management mechanisms, aka DRM) to nervously seeking to control the wholesale and retail markets through its investment strategies. It offers "most favoured nation clauses", and grants licences in exchange for equity in new music services. Transparent accounting is a thing of the past. Rather than encouraging a vigorous market, the major labels pick winners and losers by setting barriers to entry that are just a whisker on the side of legitimate. So keep all that in mind as emblematic of interests not being aligned to mutual benefit. Here's another bang-up-to-date example, from the other side of the fence. Recently we've seen the first fruit of Google's investment in consumer electronics. But Google has decided not to challenge the stalwarts of the television industry with any new creative material or any new way of enjoying that content. The Google TV takes £300 out of your pocket but doesn't give you anything you can't find on your laptop... and you still need a television. The Nexus 7, a tablet computer, doesn't have anything worth watching either. And if that's odd – meet the Google Nexus Q. It's a beautifully futuristic sphere-shaped media streamer that only plays Google media, through Google services, and what's kicking about on the "open web". Like YouTube! In essence, the Nexus is a kind of DRM dongle for content that doesn't have DRM, and will never need DRM, because it's worthless and will never need "protecting". So Google has designed a range of products around a broken supply chain. This is rather like Google designing an affordable household rocket that doesn't go any faster than a bike nor any further than your cornershop. What on Earth is the point of building a rocket to do that? Answer: there isn't one. If the copyright industries are timid about using technology, and engineer themselves around it, then here's the most-lauded technology company on the planet just as timid about using creativity. Cosy entertainment arrangements are not being challenged here (the faddish buzzword is "disrupted") as they historically have been by waves of technology. What tech companies ought to be doing is offering a helping hand to people who can better represent creative talent. Where, for example, is the internet's alternative to satellite and cable? There is nothing intrinsic to first-run movies and the world's most popular football offering, the English Premier League, that should make them a staple of Sky's schedules now and forever. The exclusive rights to broadcast these will go to whoever puts the most cash on the table. Verizon, with its fibre broadband network, looks like a bet and it has disrupted cable, but it's an exception rather than rule. So while most people are familiar with "music business fails to innovate" headlines, the boot's now on the other foot. Google has the cash but not the desire to innovate, and instead designs for breakage. I'd promised the Unicorn would make an appearance, and no attempt to describe the stand-off can give a faithful representation without it. The Unicorn is the naive hope that something, somehow, will turn up. The Unicorn stamps its hoof on the Guardian's business strategy, and embosses hyper-local journalism business plans. The Unicorn does a little dance when someone insists you can have a market without property rights being enforced. And the Unicorn clops its hooves approvingly whenever people muse about "business models" but ignore the continental-scale misalignments between the industries we've seen in the preceding examples. And whenever people ignore that vast gap between potential market value and the amount of money actually entering the internet economy – the Unicorn throws a party. 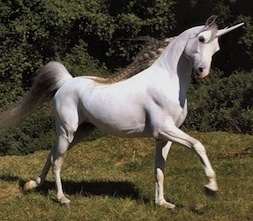 Needless to say, Unicorns are frequently seen flying over Shoreditch. After 20 years of pretending the internet economy is some fragile newborn, let's be honest about the sheer size of the failure that's upon us. The markets are either sickly or don't exist, and an enormous amount of money that should be flowing both to innovative internet companies and creative industries isn't. Essentially it's a world where cash doesn't willingly change hands in anything like the quantity it should. Piracy plays its part, but it surely can't be the entire picture: only a third of internet users infringe copyright. While you have to sympathise with legitimate businesses operating in an environment where punters can wander into the illicit shop next door, without fear of sanction, what about the two-thirds of broadband users who simply aren't putting their hands in their pockets? Where's the strategy to extract our cash and leave us happy? It's not as if the public propensity to pay for creative goods has suddenly ceased – but it's platforms such as Sky that are the beneficiaries, rather than hopeless klutzes of the internet economy. Apple has created content markets and demonstrated how much economic growth comes from making copyrightable stuff enjoyable. Apple certainly shows the way, in contrast to Google's advertising-based stagnation. But Apple's markets aren't true competitive markets - they only work on Apple's gear and on Apple's terms. The misalignments are now so great that the internet giants now see more gain from keeping the internet economy small, rather than growing it. Management consultancy McKinsey puts consumer surplus of internet services - the amount of money that we'd theoretically be happy to pay to use Flickr, GMail and the like - at €100bn a year. Google and Facebook see more short-term gain from being big fish in a small pond, rather than even bigger fish in a much bigger pond. Quite simply, today, a Google (well, the Google) knows it can profit from other people's (expensive) stuff by flouting the old rules... and knows it can get away with it. Google's off-field presence dwarfs the combined might of the creative industries – as evidenced in the rollback of UK citizens' rights (see here and here). Some of you may remember when The Victoria and Albert Museum marketed itself as "an ace caff [cafe] with nice museum attached". Well, Google today appears to be a sophisticated global lobbying network with a legacy advertising business attached. It has become obsessed with moving the goalposts rather than innovation. Its motto could be "Think Small!" Google has, in fact, become a bizarre mirror of the music industry. As I said earlier, there's plenty of blame to go round. How can we realign the players in an internet economy that has gone so badly off the rails? Well, maybe you can help here. The answer looks both simple and complicated. The simple thing is to get both sides focussed on making money, rather than lobbying. The mutual interests have to be pointing in the same direction. This is easier said than done. The complicated thing in this era of fiscal austerity and negative growth is getting people spending money to kickstart the process. On the prickly subject of piracy, legislators would rather the two sides sat down and made the problem go away through mutual cooperation. Lawmakers attempting to draft decent, workable rights enforcement provisions can reliably count on the "Just Say No" camp of copyright activists to say "No to Anything" - like we saw with the defeated Stop Online Piracy Act. This is actually a pity, because there are reasonable and just enforcement measures, worse ones, and really bad ones. But to a dogmatic copyright activist, all are equally bad. To a legislator who simply wants to do the right thing, this is no help at all. My modest offering is this. If we want to look where value can be created (a euphemism for "punters happily parting with their money") we should look at what is inconvenient and impossible to do on the internet today. This can be fixed by introducing some flexible value recognition system that can be bundled with other goods. For example, ISPs could bundle tokens you can spend on the music and movie services of your choice. You could top up anywhere at any time. It ought to be universally redeemable. Another inconvenience is playing music. There's really no open, interoperable standard for taking songs on a mobile phone and playing them wirelessly on any speaker – whether it's in a rented car, an office or a friend's house. You have to faff around with Wi-Fi passwords and then you can bet those speakers won't be connected to tech compatible with your handset. Another market misalignment, another opportunity for technology-copyright partnership. And there's categories of music goods that haven't been invented yet: books that play music, for example. I suspect money is the key, though. Facebook already has Facebook Credits - which you can only use inside the Facebook plantation. It's up to the creative industries to create and jointly own something better - a flexible payment system and platform - to unlock some of that value. They can hardly complain when somebody else builds one, people use it, and they're gouged for 30 per cent (hello, Apple and Amazon). For its part, Google has much to offer too – it can build these platforms. The problem is that Google's DNA and historical baggage make this extremely difficult today. Google has rowed itself out to sea and on to Freetard Island. Google can't unlock its own value without copyright – but its mindset, its Weltanschauung now holds it back. Shareholders are traditionally the key here to nudging a company towards greater growth. Google's current corporate governance structure makes it difficult to change - it's one of the least transparent, least accountable companies on the planet. 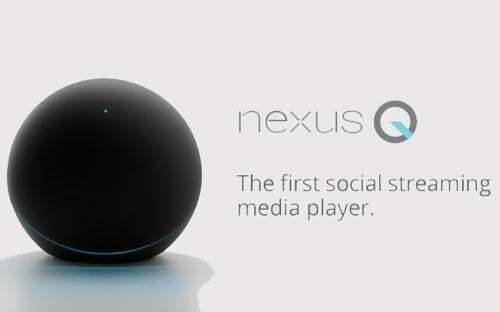 But anyone looking at the Nexus Q ball will surely conclude, independently, that Google needs a new CEO. At times the lack of courage of both sides in the content and technology industries makes you wish a plague on them all. But that ultimately leaves future generations much poorer, and is a victory for cynicism. We need to push them to get back to what they're good at - based on the ground rules we know work. And by the way, about that Unicorn? Gas Tax Broken; But What Should Replace It? The U.S. is broken. What country isn't?